Taste Talks is a 2-day event that will showcase the culinary cutting edge for a food-obsessed generation through symposiums, workshops and discussions. Experts in dozens of related fields will come together to observe and discuss the latest trends in food and drink, all in America’s most stylish test kitchen: Brooklyn. 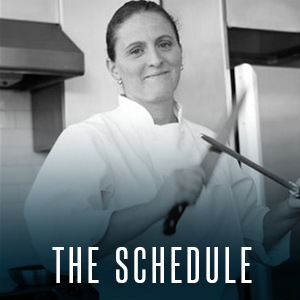 The inaugural Taste Talks, taking place on September 14th and 15th, 2013, will be curated by Spotted Pig-founder and renowned chef and cookbook author April Bloomfield. The conference will take place on Saturday, September 14, and participants include Mario Batali, Wylie Dufresne, Dan Barber, Questlove, Alessandro Porcelli and more. On Sunday, September 15 the All-Star Cookout will take place at East River State Park in Williamsburg. We've paired top chefs from New York City and abroad to collaborate and create an exclusive Taste Talks tasting menu. Click here for tickets. Taste Talks will take place at the Wythe Hotel, Kinfolk Studios, Brooklyn Bowl and East River State Park. To check out Taste Talks panels and special events, click here. We'll be announcing more Taste Talks events over the next few weeks, so follow us on Twitter for updates on talent and programming.